Abhishek Sharma from Calcutta, B.Com Graduate. Abhishek Sharma is Finance and currently have no work experience. FINANACE & ACCOUNTS CORPORATE FINANCE & .. INVESTMENT BANKING FINANCIAL ANALYSIS E..
are one of expert skill area's of Abhishek Sharma . 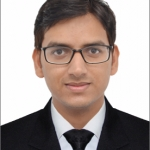 Abhishek Sharma is working in Finance industry.